If you’ve purchased a lemon, the seller’s knowledge of the defect in your vehicle impacts what types of damages are available. 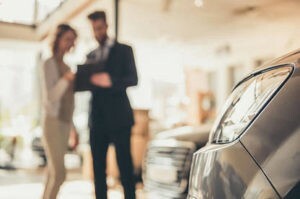 As one might imagine, a seller who doesn’t know a vehicle has problems has less exposure than a seller who does but fails to disclose it to the buyer. However, what about a seller who attempts to repair a defect, believes it is fixed, and fails to disclose the repair to a buyer? Are they held to the same standard as a seller who fails to disclose an ongoing defect? Courts in Louisiana have said they are. For example, the case of Danilson v. Crown Buick, Inc. involved a buyer who purchased a car that had been damaged in an accident prior to the sale. The car dealership knew the accident had taken place but attempted to fully repair the vehicle. They did not tell the buyer the vehicle had been damaged or that repairs were taken. After learning of the damage, they buyer filed suit against the dealership seeking to have the sale rescinded, arguing she should not have purchased the vehicle if she knew of the damages. Fortunately, the court agreed. Thus, under the Danilson ruling failure to disclose a repair carries the same liability as failure to disclose a problem. As the old adage goes, the coverup is often worse than the crime.